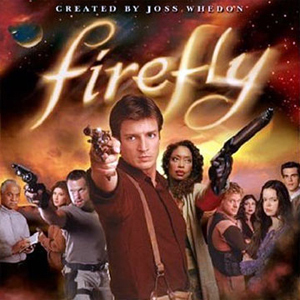 Firefly (FOX, 2002, Cancelled After Half a Season): You know that as soon as word started to spread about the success of the Veronica Mars campaign that the Browncoat faithfuls immediately kicked into high alert mode. And of course Joss Whedon did as well, and he quickly set to work downplaying the possibility that Firefly would soon be moving forward with a Kickstarter funded movie. He noted that he is committed to Marvel for at least the next three years and that Nathan Fillion is busy with Castle (which just passed its 100th episode). He also pointed out that a Firefly movie would cost considerably more than what Rob Thomas targeted for Veronica Mars. Bryan Fuller has said that a Pushing Daisies movie would likely run somewhere between $10 and $15 million, and Firefly would probably have a similar price tag if not higher (the Serenity feature film cost $39 million). He did express, as he has before, that he would love to revisit the series and bring the old gang back together, but he doesn’t see it happening anytime soon. So, short of him getting fired from the Marvel movies (or getting fed up and walking out) as well as Castle getting cancelled, don’t expect anything on this front in the next few years if at all. Terminator: The Sarah Connor Chronicles (FOX, 2008-09, Cancelled After Two Seasons): Fanatic followers of this show also immediately perked up after the Veronica Mars campaign succeeded, but series creator Josh Friedman had to step in and temper expectations. He took to Twitter saying that a Kickstarter revival is “HIGHLY unlikely” (his emphasis) due to “rights situation, budget necessities, motivation of corporate entities”. Basically, Terminator is a corporate property and the studio execs want to control what is happening with it. This is actually true of all these shows, but in the case of Terminator the studio still believes it has plenty of potential on the big screen and there’s currently movement toward a reboot of the franchise. So they may see a fan-funded Sarah Connor Chronicles movie as a diversion from there current plans (even though it really wouldn’t be) and would be hard-pressed to greenlight such a project. However, the fans of this show raised a lot of money to convince other networks to pick it up after it was cancelled (even though that was all for naught), so I still expect them to be making some noise. But nothing will move forward without a thumbs up from the studio, and based on what Josh Friedman is saying that’s a slim chance at best. 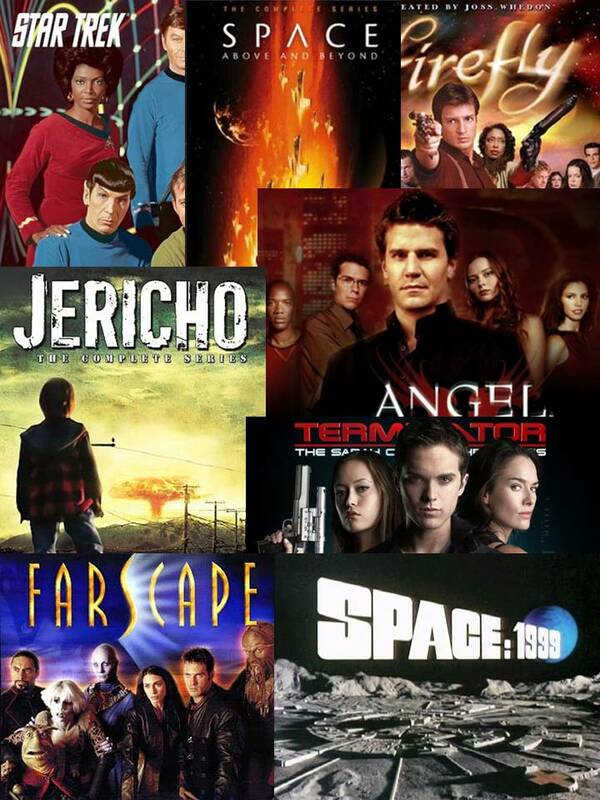 Star Trek (Any of the Incarnations): The main reason you won’t see any Kickstarter funded Star Trek movie is the same as you won’t get a Sarah Connor Chronicles film that way. Paramount has a tight control on that franchise and they are mostly focused on the ongoing big screen reboot. They don’t really want to revisit the old series when they are in the process of reinventing the franchise. 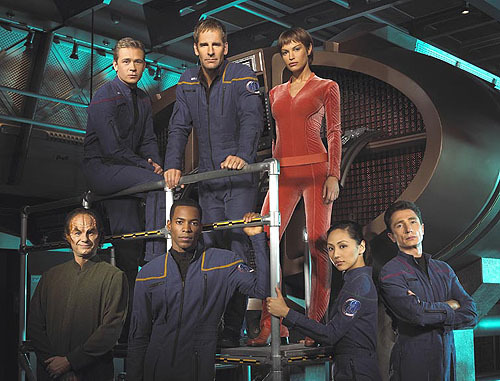 Scott Bakula talked about the chances of an Enterprise revival (it was the only series other than the original that was cancelled) and suggested that the cost would put it out of reach (which is only one of the hurdles it would have to overcome). The only thing that I could potentially see coming from this route (and it’s a longshot) is the Captain Worf movie that Michael Dorn is trying to get made. There’s a slight possibility that Paramount may let him run free with his concept if the money could be raised seeing as what he wants to do would not interfere too much with what is going on with the franchise now. It would take a fair amount of money to get it made, though, definitely in the $10 to $15 million range if not higher, but then I believe Trek fans could easily come up with that money to see the beloved Worf captain his own ship. Beyond that, don’t expect anything on the Trek front out of Kickstarter. Angel (WB, 1999-2004, Cancelled After Five Seasons): This Buffy spinoff was cancelled after five seasons even though Joss Whedon had more stories he wanted to tell. Those eventually surfaced in comic book format where they are still running today (along with new Buffy stories) but don’t expect Angel to make a jump to a movie anytime soon, because this one would be lower on Whedon’s list of priorities than Firefly, and that one’s a longshot at best to begin with. Angel would actually be more financially doable, but has the cast aged too far to reprise their roles? Just consider this one too far off the radar. The 4400 (USA, 2004-07, Cancelled After Four Seasons): USA cancelled this series after four seasons leaving it on a pretty big cliffhanger and fans would at least like some sort of resolution. But I would say that the fire has mostly died except for the most devoted fans and the cost and logistics of bringing the expansive cast back together would make this quite a reach. 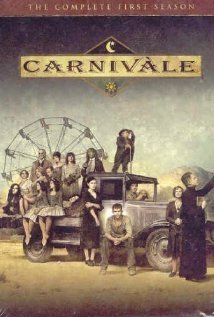 Carnivale (HBO, 2003-05, Cancelled After Two Seasons): This is another one the that fire has likely died down on, but it’s a particular favorite of mine and it’s worth mentioning. Unfortunately, its chances of revival are slim. I’m sure that creator Daniel Knauf would be onboard for a return to the beloved show, but as he said previously himself, there’s no way the story could be wrapped up in a single movie (or even two or three). And then this one was very expensive to produce with its period setting, extensive cast, and carnival sets. I’d love to return to these characters (Mr. Knauf, please, please, PLEASE novelize the complete story), but it would take much more than a Kickstarter campaign to make something happen here. Next I will look at some other shows that are longshots as well as a few within the realm of possibility if everything were to fall into place.